Also serving communities of Baldwin City. The average cost of memory care in Lawrence is $4,931 per month. This is higher than the national median of $4,650. Cheaper nearby regions include Lenexa with an average starting cost of $2,577. To help you with your search, browse the 1 review below for memory care facilities in Lawrence. On average, consumers rate memory care in Lawrence 3.0 out of 5 stars. Better rated regions include Olathe with an average rating of 4.0 out of 5 stars. Caring.com has helped thousands of families find high-quality senior care. To speak with one of our Family Advisors about memory care options and costs in Lawrence, call (855) 863-8283. The city of Lawrence is home to nearly 97,000 people, about a tenth of which are over the age of 65. It is situated in Kansas, which the Alzheimer's Association projects has 53,000 people with dementia. To support its local population, Lawrence has four memory care facilities, with an additional facility located outside the city limits. 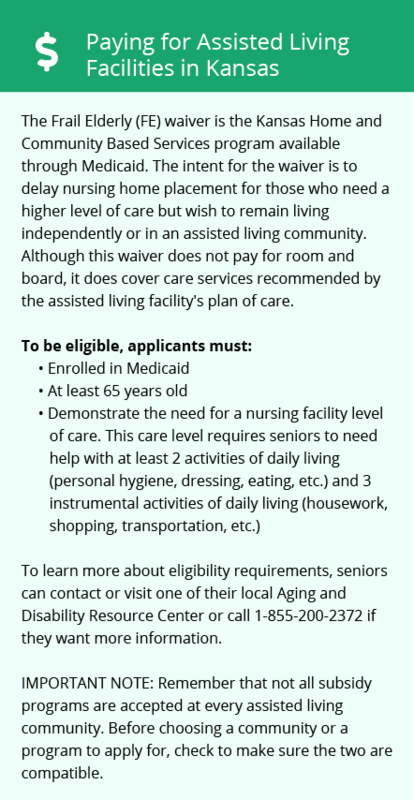 While Kansas does not license or certify memory care facilities in the state, including those in Lawrence, assisted living facilities that offer memory care must meet special guidelines pertaining to their evaluation, admission process, staffing and security. Social Security benefits in Kansas are not taxed for seniors with an income of less than $75,000, which may help leave more money in the memory care budget. Public pensions are not taxed, but all other types of retirement income are taxable. Winters in Lawrence are cold and windy with lows in the mid-20s, and summers are hot and humid with highs in the 90s. While seniors who enjoy experiencing four distinct seasons may appreciate the city's climate, those who prefer comfortable year-round temperatures may find the colder months tough to get through. On a scale of 1 to 100, with 100 representing a high crime rate, Lawrence's property crime rate is 53.6, compared to the national average of 38.1, and the violent crime rate is just above the U.S. average at 32.8. Families who are moving their loved ones to memory care in Lawrence may want to review the security measures taken by the facility they choose to keep residents safe. Living costs in Lawrence are on par with the national average, though they are about 10 percent higher than the state average. Healthcare costs here are slightly below state and national medians, which may help seniors afford the care needed to manage a chronic condition like dementia. Memory Care costs in Lawrence start around $4,931 per month on average, while the nationwide average cost of memory care is $4,798 per month. It’s important to note that memory care rates in Lawrence and the surrounding suburbs can vary widely based on factors such as location, the level of care needed, apartment size and the types of amenities offered at each community. Lawrence and the surrounding area are home to numerous government agencies and non-profit organizations offering help for seniors searching for or currently residing in an assisted living community. These organizations can also provide assistance in a number of other eldercare services such as geriatric care management, elder law advice, estate planning, finding home care and health and wellness programs. To see a list of free memory care resources in Lawrence, please visit our Assisted Living in Kansas page. 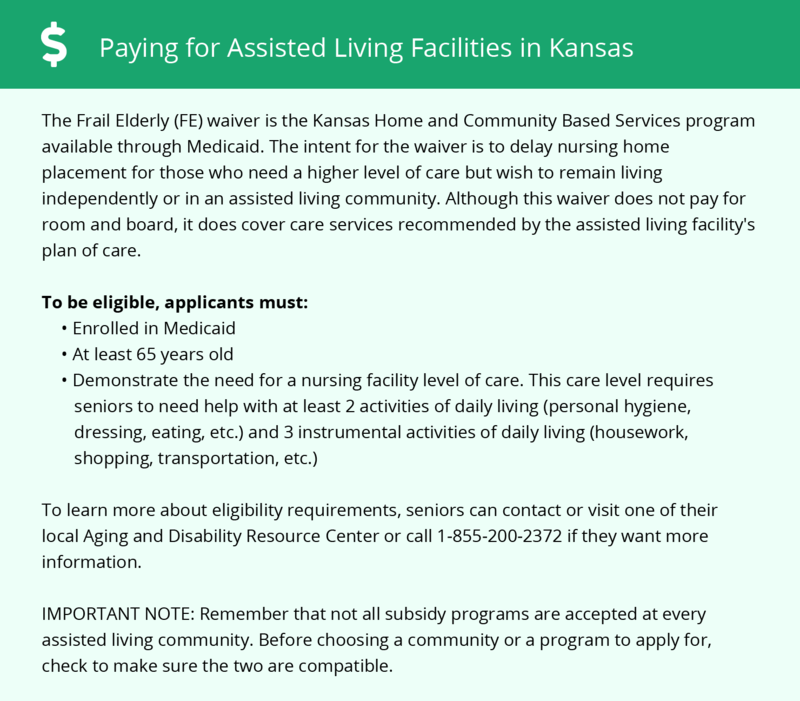 Lawrence-area assisted living communities must adhere to the comprehensive set of state laws and regulations that all assisted living communities in Kansas are required to follow. Visit our Memory Care in Kansas page for more information about these laws.